Prince William and Kate, the Duke and Duchess of Cambridge, are expecting their third child, Kensington Palace said today. William, 35, is the eldest son of Prince Charles, the first in line to the throne, and the grandson of the Queen and Prince Philip. 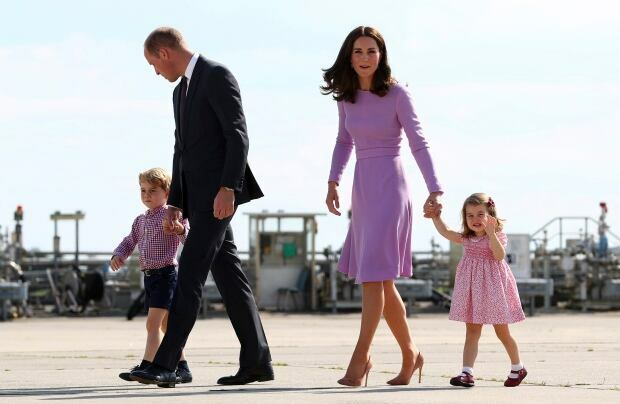 The baby would be fifth in line to the British throne, after grandfather Prince Charles, father William and elder siblings George, 4, and Charlotte, 2. 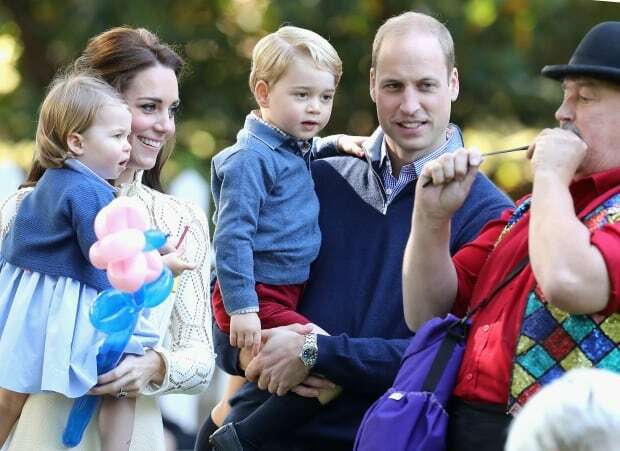 The baby’s arrival next year would push William’s younger brother Harry down to sixth in the line of succession. Harry gave a thumbs up when he was asked Monday about the royal baby expected by his brother and sister-in-law as he arrived for a visit in Manchester. “Fantastic. Great. Very, very happy for them,” he said. As with her other two pregnancies, the duchess, also 35, is experiencing severe morning sickness (hyperemesis gravidarum), so cancelled her engagements Monday. No details were immediately available about when the third baby is due, but betting agencies were quick to start offering odds on possible names. Paddy Power offered 8-to-1 odds on Alice if the baby is a girl. Also popular was Diana, after Prince William’s late mother, the Princess of Wales, particularly given the timing of the announcement. Together with Prince Harry, William and Kate have taken a leading role in marking the 20th anniversary of Diana’s death. Last week, the royals toured the garden of their Kensington Palace home to remember the princes’ mother and celebrate her contributions to their family and the monarchy. The royal couple are also due to mark a family milestone later this week: They are set to send George to school for the first time on Thursday. Their choice of Thomas’s Battersea in south London indicates the Cambridges are settling into their Kensington Palace apartment, having moved recently from their Norfolk home Anmer Hall. From the time of their engagement, the royals have said that they wanted to have children — the only question was how many. Royal watchers recorded every aside for clues as to their plans. More recently, during a royal tour of Poland, Kate joked about a third child when given a cuddly toy designed to soothe tiny babies. Kate thanked the well-wisher for the present and turned to William. “We will just have to have more babies,” she joked. 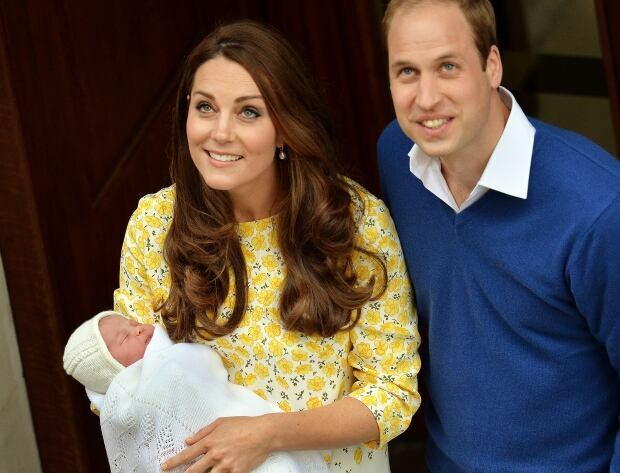 Kate is the eldest of three siblings, while William’s only sibling is Harry. The royal couple can also be seen as following in the footsteps of William and Harry’s grandparents, Queen Elizabeth and Prince Philip, who have four children. Britain’s monarchy has ridden a wave of public support in recent years due to the emergence of the younger royals — William, Kate and Harry. Kate and William married in a lavish ceremony at Westminster Abbey in 2011 that was watched by about two billion people around the world. Two years later, the international camera crews and photographers camped outside a London hospital in anticipation of George’s birth, and returned two years later for Charlotte. George and Charlotte have since appeared on the front covers of magazines around the world and travelled on official royal tours of Canada, Poland and Germany with their parents.